I landed in Malta with Sara by Non Solo Shopping and after a warming welcome by the Staff of MBFWA we went quickly to prepare us for the party, but not being able to take many pics yesterday morning I decided to take some pictures of my outfit close to the sea. What about it? Stay tuned and follow with me the MB Fashion Week of Malta. 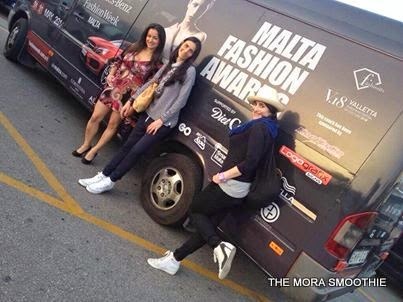 Sono atterrata a Malta insieme a Sara by Non Solo Shopping e subito dopo una splendida accoglienza da parte dello Staff MBFWA di corsa a prepararci per il party, ma non essendo riuscite a scattare tante foto ho deciso ieri mattina di scattarne qualche altra dell'outfit in riva al mare. Che dire? State collegati e seguite con me la MB Fashion Week di Malta. Awesome dress! The color ist gorgeous, love also the detail with this golden clasp. You had actually successfully set up modded video game in your android phone. Doodle Army 2 APK A much better mistake will display in many places to help us aid you.